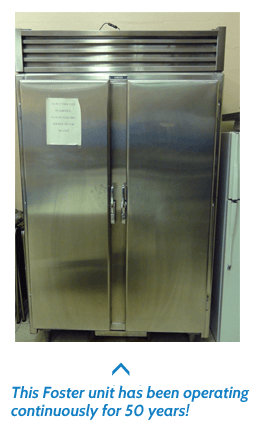 As the founder of the modern refrigeration industry, Foster walk-in coolers and freezers have been dependably operating aboard US Navy aircraft carriers, guided missile frigates, destroyers, and minesweepers as well as on todays modern crew boats, container ships, drillships and jack up rigs... for 70 years from the Arctic to the Equator! 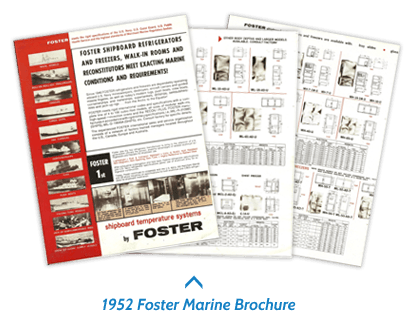 Before splitting into individual regional companies, Foster USA owned Foster UK, Foster Canada, Foster Sweden, Foster France Foster Belgium etc. Foster USA now operates independently from all other countries. 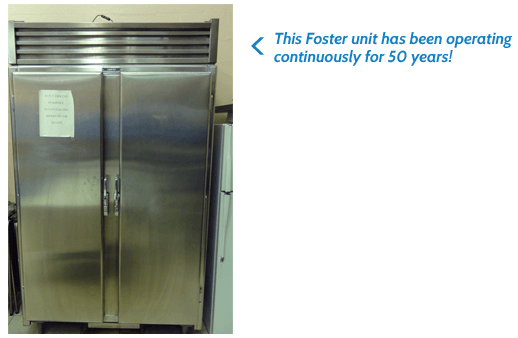 The walk-in cooler division of Foster USA is introducing its new state of the art walk-in coolers and freezers, featuring the lowest prices with the latest technology of Polyurethane, permanent cam lock system and 120-micron baked Polyester paint on galvanized steel. Foster also exceeds the rigid codes of 2009 required in the food and the farm industry.